You found the spot for PF Chang’s menu prices. P.F. Chang’s China Bistro is an Asian-themed casual dining restaurant serving bold, flavorful dishes. All dishes start with quality, fresh ingredients. Menu choices are prepared from scratch in an onsite kitchen. P.F.Chang’s is open for Lunch & Dinner. Kids are welcome and can dine from their own menu. Be sure to try one of P.F. Chang’s specialty cocktails, beers, or Sake. P.F. Chang’s is a great spot to meet co-workers for happy hour. Small plates & drinks available from 3:00pm-7:00pm. Reservations are strongly suggested at P.F.Chang’s. Whether you are celebrating a special occasion or dining as a large group, P.F.Chang’s makes it easy to reserve a table by using their online reservation service. Share Chinese good fortune by giving that special person a P.F.Chang’s gift card. Now, there are two ways to give a P.F.Chang’s gift card. You can order a traditional gift card and have it delivered to the recipient via postal service or you can order an e-gift card and have it delivered to the recipient’s email instantly. Now you can have all your P.F.Chang’s favorite dishes served at your next event. Pan sizes of signature dishes ready to be served to hungry guests. For any event, meeting or party of 10 or more, P.F. Chang’s catering is the right choice. Check out the details online or at your local P.F.Chang’s location. Join P.F.Chang’s guest loyalty program. Sign up is quick and free. Earn 10 points for every dollar you spend during dine-in or take-out at P.F.Chang’s. Every 2000 points earn a free entree reward. But that is not all. Members also get special perks, invites to exclusive tasting events, a birthday reward on your birthday plus other surprises. If you are looking to provide guests with an unforgettable dining experience then consider P.F.Chang’s. At P.F. Chang’s team members work in a welcoming and collaborative environment that fosters learning and growth. Check out the Career page on the official P.F.Chang’s website to learn about their values and philosophy plus search available staff & management openings. If you see something interesting you can apply online. P.F.Chang’s make it a priority to ensure guests have the nutritional information they need to make proper dining choices. The nutritional values of the P.F.Chang’s menu items are available online or by asking your server. The safety of P.F.Chang’s is priority one. Food allergies should not stop guests from enjoying a great meal at P.F.Chang’s. Ask you serve or go online to view the complete allergen guide for all the menu items. 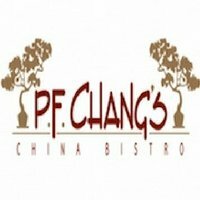 P.F.Chang’s also offers a selection of appetizers and entrees that can be purchased from the frozen food section of local grocery stores. Now, the authentic, bold flavorful meal of P.F.Chang’s can be prepared in your own kitchen. P.F. Chang’s was founded by Philip Chiang and Paul Fleming in 1993 in Scottsdale, Arizona. PF. Changs is owned by Wok HoldCo LLC. a holding company whose majority owner is Centerbridge Partners LP, a private investment firm. P.F. Chang’s is headquartered in Scottsdale, Arizona. Today, there are over 200 locations in 39 states. Be sure to follow and connect with P.F.Chang’s through various social media platforms. For more information about P.F. Chang’s, visit their official website. Charging one person over $28 for lunch is obscene. Charging over $2 for a beverage is rude. Charging over $3 for a cup of soup is ridiculous. Charging over $19.75 for an entree is unbelievable. Your prices are the pits! I paid $14 for lunch which included a main entree and soup. I asked for no rice, what I got was so small all my coworkers were upset and will never go to pfchangs again. At a similar very popular chain that has a wild bear as their logo, just one side would be bigger than what I got from changs – no joke.